Toyohara Kunichika (1835-1900) Kabuki Scene, 1895. Oban Triptych. 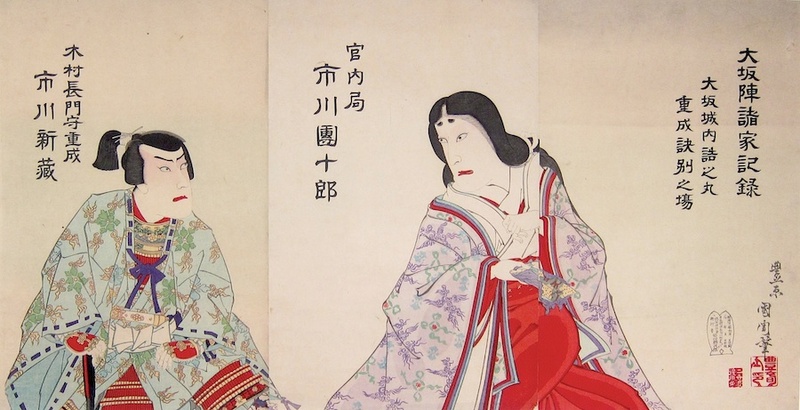 Made just five years before his death, this elegant triptych is typical of Kunichika’s late style. The sparse, cinematic composition and the studied, almost deliberately awkward features of the actors were a reasoned response to the waning popularity of the theatre and the rapid introduction of lithography and photography into Japan at the close of the century. Reflecting (and to some extent predicting) the European crisis in painting that led to the experiments of Picasso, Braque and Matisse, these late pieces are some of the most challenging and original of Japanese art in the latter part of nineteenth century. These ‘cinemascope’ pieces are now recognised as being the last great flourishing of the ukiyo style. 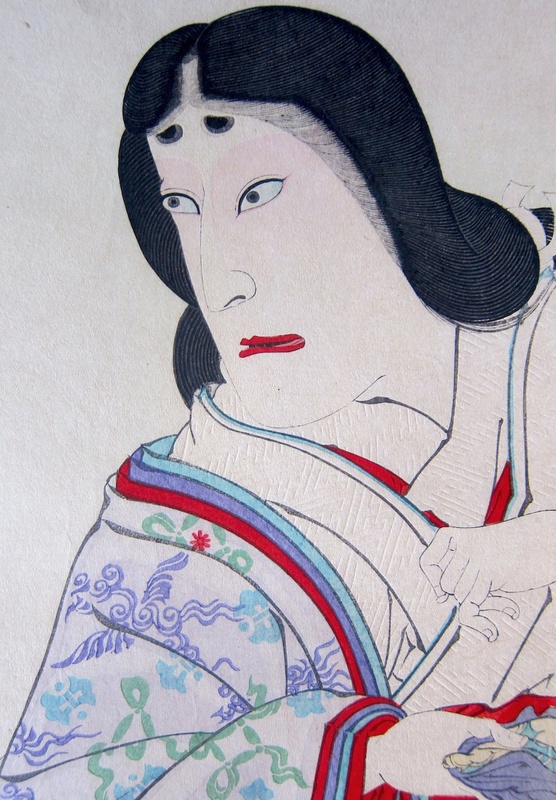 Amy Reigle Newland in her book, Time Past and Time Present: Images of a Forgotten Master, devotes nearly a third of her work to these late “Living History Plays” (katsureki gekimono) popularised by the Danjuro clan in the 1890’s. Each sheet 25.4 x 36.8 cm.